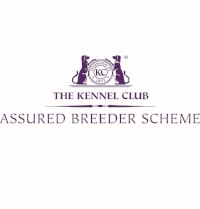 KENNEL CLUB ASSURED BREEDERS AND VERY PROUD OF IT. 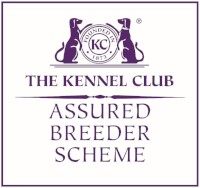 The Kennel Club is recognised by the United Kingdom Accreditation Service (UKAS) as a certification and inspection body and, as such, is able to issue UKAS accredited certificates to members of its Assured Breeder Scheme. It is a level of quality assurance which means that the Kennel Club is checked and audited by UKAS in a similar way to the way that breeders are checked during a visit by the Kennel Club, to ensure that the rules of the scheme are followed. This gives confidence to puppy buyers that ABS members are part of a robustly run scheme where breeders are monitored to ensure that they adopt the good practice set out. As such puppy buyers will have the best possible chance of buying a well reared and healthy puppy. I had my 3rd inspection April 2017 where again I passed all aspects of the scheme with fly colours. 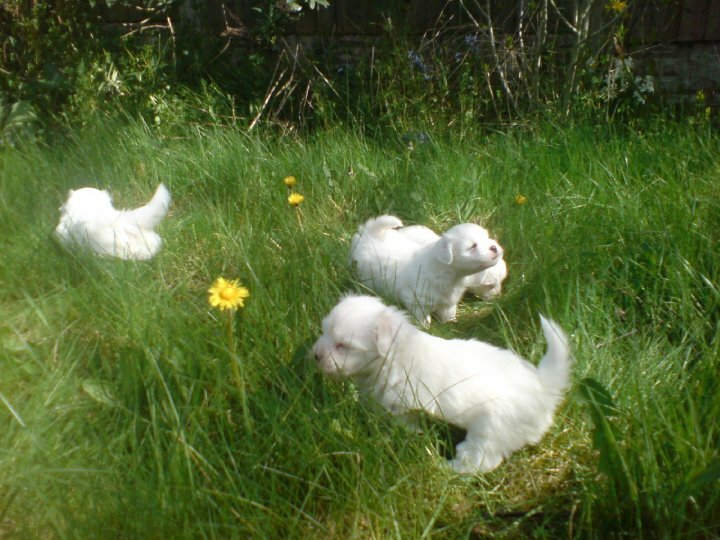 I pride myself in breeding Healthy, Happy Puppies with sound temperaments, good breed standard and extremely well socialised. They are raised in a family environment with lots of love and cuddles from family, friends and grandchildren as the puppies develop. The welfare and happiness of all my dogs is of the utmost importance to me. All of my puppies leave me fully vaccinated, health tested, socialised happy puppies and I offer a lifetime of support. My puppies are born in my bedroom and stay there with their Mum for the first 2 weeks of their life in the quiet so that mum and puppies bond and I am there to keep an eye on them. Once puppies have opened their eyes they are moved downstairs where their socialisation begins.......with the other dogs, with other humans, with grandchildren, hearing household appliances such as vacuum cleaners and other daily household noises. I play Cd's with noises that cover traffic, fireworks, thunderstorms etc. 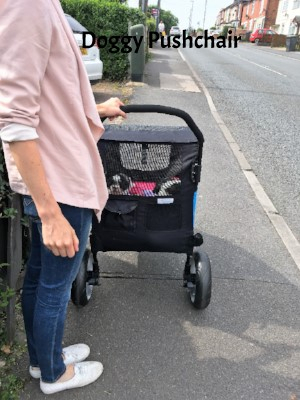 When they reach the age of 4/5 weeks they are taken out in the safety of a doggy pushchair (see photo at bottom of page) on regular occasions where they here sounds of traffic, meet and greet people and see the outside world without Mummy. A great way of safe socialising before they have had vaccinations. Our Cotons and Havanese are our loving pets whom we live with in their home....that's certainly how it seems to be most of the time. They all live with me and are not kennelled as I believe this is not how dogs are meant to live....they need companionship, love and to be part of the family. I came across the Coton de Tulear in 2005 whilst looking at the toy breeds mainly the maltese and bichons as part of a related group of dogs and was instantly hooked on the Cotons ....I added two Havanese to our Kennel in 2013 and have never looked back......and so my journey began with these beautiful breeds. All of my dogs are health checked regularly and all have annual eye certification. All our dogs have been DNA health tested for conditions that can affect our breeds and are tested clear of these conditions. I have also had some success in the ring with puppies we have bred.......Wyldewyche Geonelli has had tremendous results in the showring and recently gained his GRAND PORTUGUESE CHAMPIONSHIP. 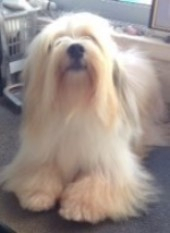 ... WYLDEWYCHE GEONELLI is ONE OF THE FIRST UK BRED COTON DE TULEAR GAIN INTERNATIONAL and MULTI CHAMPIONSHIP STATUS. Wyldewyche Geonelli was awarded BOB and his final CAC for his Dutch Championship Title at Maastricht on 27/09/14. WELKS CHAMPIONSHIP SHOW 2014 was BOB and awarded Toy group 4. WYLDEWYCHE GEONELLI is the second ever UK bred Coton De Tulear to be placed in group at a championship show and has also been reserve best dog twice at CRUFTS....so proud. 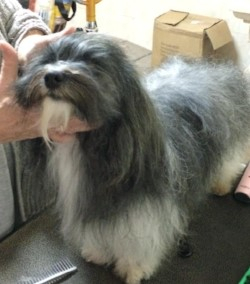 WYLDEWYCHE GEONELLI IS NOW GRAND CHAMPION OF PORTUGAL.